This is an opportunity to say a huge thank you to all of my loyal blog readers. 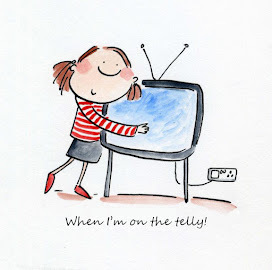 If you are new to my blog - welcome and I would be delighted if you were to become a follower. Every single blog listed below is hosting a giveaway! All you need to do is visit each one and leave a comment, that is it! Super easy! I ran this as a Spellbinders workshop and it was hugely popular. I'm still holding onto Christmas right now...! Bitty Blossoms, Sprigs and Tiered Multi Loop Bows. the entire blog list is listed below - visit each one and remember to leave a comment. A happy and creative 2016 to you all. Wow...beautiful prize. Happy New Year. A Very Happy New Year to you and your family Christine, I've really enjoyed following you and Elliott on your blogs this year, and look forward to all the inspiration, news and other snippets that you share with us,in 2016. Fantastic giveaway. I hope you have a happy, healthy & creative New Year. Christine, your bouquet is beautiful! I love those flowers. I'm holding on to Christmas too. I am hanging on to Christmas too.but I would like to wish you and everyone a happy and healthy new year..
Oh wow! I can see why this project was such a hit. It's gorgeous! Love all the beautiful Spellbinders flowers used to create the Christmas tree! Wow, super prize and thanks for the (long) list of websites to visit. Fantastic prize for the blog hop, thank you for the chance to win . Happy New Years Day Christine. I love your little tree, I would keep it out all year too. This is an amazing blog hop. I think I'll have to do it in stages. Well must dash I have a meal to make for 12 hungry people. Wish me luck. Morning Christine, A Very Happy New Year to you and your Family. I remember this stunning tree, I would be keeping this on a shelf all year round !! Goodness, what a long, long, list in this Blog Hop haha. Thank you for the chance to win these fabulous 'goodies'. Happy New Year, have a lovely day today. Don't think I'll be able to visit all of blogs listed I'll just stick to you and Christina. Happy New Year to you and your family. Love following your blog. Thanks for all the wonderful inspiration. Happy New Year! And thank you for the generous giveaway! Sending you and all your family (not forgetting Bella) best wishes for a Happy and Healthy New Year. Thank you for all your work and generosity over the last year. Wow, what a fabulous project! Awesome project!! Thank you for the opportunity for the great prize giveaway. Happy New Year!!! Christine, thank you for sharing your creativity to inspire us all! That tree is an amazing project! You are kind enough to share your work with all of us so I will share mine too! I posted some of my favorite cards from my design team work on my blog (http://afourthlife.blogspot.com) as well. Thanks for a chance to win! Happy New Year to you Christine, I'm looking forward to seeing what you have in store for us all in 2016! Fun way to find more blogs to follow! 2016 is going to be the year of the crafts! I do like your tree. It almost makes me want to attempt it - but I will resist as it is too early to begin Christmas crafting, ha, ha. Happy new year! I love your work and this floral Christmas tree decor is no exception! Thanks for the lovely prize you've put together. I am following you everywhere I can :) Best wishes on 2016. I loved this 'tree' so much that I decided to have a try (at a smaller version) and sent it to my sister...she loved it!! I would like to thank you for giving us all a chance to win your wonderful giveaway on the first blog hop of 2016. I'm looking forward to all your posts this year. Your beautiful tree actually took my breath away! It is absolutely STUNNING! The tree is beautiful. I can see why it's one of your favorites. Wow, amazing tree project Christine! Happy New Year! Christine, impressive bitty chistmas tree... hang onto christmas with this beauty on your counter. omg I love that flower tree. Yahsssss! Happy New Year! OMGosh that's simply stunning!! Wishing you a Happy, Happy 2016! Terrific prizes! Have a warm and crafty 2016! Beautiful work. Thank you for the chance to win. Awesome blog. So many fun goodies. Your tree is gorgeous! I would definitely leave it up for a while. Have a happy new year! Oh, my goodness! That tree is stunning!! Thanks for the chance to win. That tree is amazing!!! I love the rosette flowers and big bow! Wow I love your rose tree, so beautiful. The tree is impressive. Happy New year! Wow! 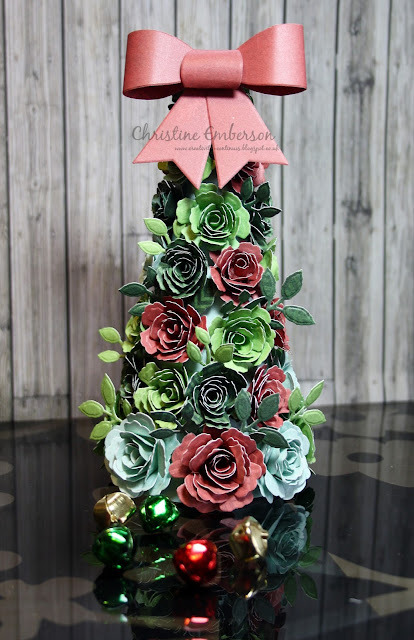 Such a brilliant creation using spellbinder dies to make this beautiful tree with full of roses!!! I am your newest follower now, would love to see more of your beauties! Wishing you a very Crafty, happy and healthy new Year! Beautiful tree. Gorgeous giveaway,thanks for the chance to win. Happy New Year 2016!! Thanks for the opportunity to win. Love that tree. It's gorgeous & unique. Absolutely fabulous creation! I can’t take my eyes off, such a beautiful arrangement of Christmas tree! The tree is beautiful. changing the colors can change it for the seasons or for occasions. thanks for sharing and for offering a great prize. Christine, your tree is really beautiful. Thanks for the chance to win such a fabulous gift! Thanks for the chance to win the fun prize! Happy New Year! Wow! I love your tree with the flowers. It's amazing! Thanks for sharing and for a chance to win a fun prize. Wishing you a happy and blessed 2016! Incredible tree! Will be giving this a try myself! LOVE the Victorian Letters by SB and they are on my wish list! Fingers crossed!! Happy New Year! Thank you for sharing this Tree. I love the look and can see the idea being used for more than just Christmas. I could see it being used as a centerpiece during a baby/bridal shower, weddings, birthdays...Just put the color combinations for your event. LOVE IT! The giveaway is so wonderful. Thank you for a chance to win! I have a die cut machine but do not have any type of letter dies. I can be reached at lesshafftlisa@yahoo.com Thank you! Gorgeous project and a beautiful prize! Such an awesome hop! I look forward to it each year! A great opportunity to pop in and say hi and thank you for the chance to win a great prize! WOW! Your tree is AMAZING!! Love it! Beautiful tree! Thanks for a chance to win. Happy New Year! Love your tree of flowers! The big bow is perfect. Wish you a great 2016. Love your awesome Christmas tree! What gorgeous shades of colors for your flowers! Oh... Victorian Letters what a fabulous prize package!! Thanks for the chance to win it! Love your project, that is stunning. I can see why it was a hit! Great prize package! Have a Happy New Year! That tree is absolutely amazing! I love it! Best wishes for the new year. Your tree is amazing! Thanks for the fun giveaway and Happy New Year! A very Happy New Year to you. That tree is simply stunning! So very beautiful. Thank you for sharing and thank you for offering such a wonderful prize. Cheers. It is not surprising that this tree is your favorite. It is beautiful! So elegant! Thanks for taking part in this fun blog hop and for the great prize package you are offering! That tree you made is amazing! What a great way to start the new year. The Spellbinders Christmas tree is AMAZING! I love Spellbinders dies; I didn't know they had workshops! Thanks for offering this prize and all the best in 2016! Your tree is amazing but all your creations are to be envied! Thanks for being in this hop! What a beautiful floral tree! Thanks for being part of this wonderful hop! Happy 2016! Incredible tree! I will have to remember this for next Christmas season, off to pin it! Exquisite tree! So creative! Thanks for the opportunity to win a great prize! Best wishes to you for a very happy 2016! I just might try to make a similar tree in pink tones for Valentines?? Have a great 2016! I LOVE your tree! We could make one for all occasions! Happy New Year!! Your tree is absolutely STUNNING!! I also really like the envelope that will hold goodies from 2016 that will be opened in 2017!! What a GREAT idea!! Thank you for being a part of this FANTASTIC blog hop!! I love seeing all the talent out there and getting new inspiration! I need that. Happy New Year and much continued success!!! I like your style of crafting! Happy New Year! Thank you for this amazing chance! Your tree is GORGEUSSSSS!!!! WOW!!!! What a beautiful tree! Thanks for a chance to win such wonderful goodies! What a beautiful tree! Thanks for the inspiration and a chance to win your generous prize! I have been eyeing that alphabet set. Thanks for your chance to win! That tree takes my breath away. Just stunning. I can see why you are an ambassador. Fabulous tree. You're another talented and generous artist. It's lovely to take part in this annual event. Love your tree! Great hop with so many talented, generous people! Absolutely love that tree! So elegant looking! Thanks for the inspiration and opportunity to win that fab prize package! Beautiful tree. Thanks for a great giveaway and hop. That is gorgeous!! This blog hop is great!! 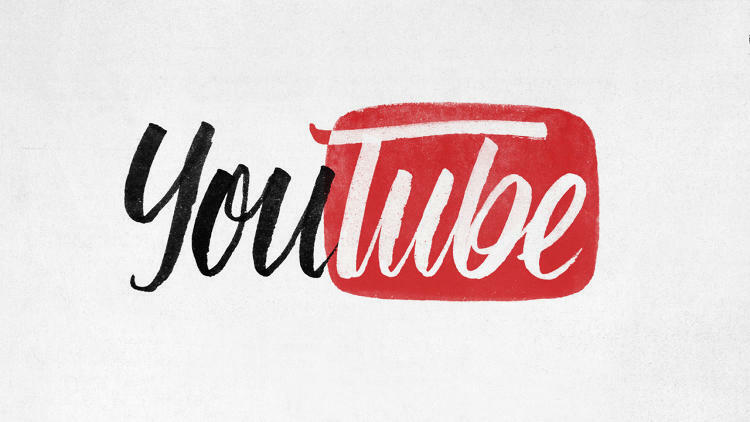 I've been introduced to many new blogs, products and websites. Thank you. What a beautiful flower tree. Gorgeous. Happy New Year! happy new year! what a beautiful tree... just love the flowers. thanks for a great hop! Happy 2016! wow what a gorgeous tree. Love your flowers. Thanks for sharing. Happy New Year's! Awesome flower tree it is so adorable. Happy New Year! love that gorgeous tree!!! Hey Christine and Happy New Year! OMG I love this little tree! What a great way to get more out of those flower dies! So very pretty and hey....you hold on to Christmas as long as you want!!! Thanks for sharing your creativity and for the chance to win an amazing giveaway! I hope 2016 is extra sweet to you! Your flower tree is just fantastic. What a beautiful creation. That is a wonderful gift package you are offering. Thanks for a chance to win. Happy New Year! I LOVE your tree!! It is soooo cute!! I can't wait to see what other projects you have to share with us this year!! Love the little tree. It is beautiful. Thanks for the inspiration. Happy new year. Hi Christine, I too love your Christmas tree, didn't have time to try to make it this year will definitely have a try next year. What a cool tree that you made with dies! I might have to try that! Happy 2016 & thanks for the chance to win! Oh! I love how your tree turned out. I remember when I was quite a bit younger my mother had some very tall trees similar to yours that had pine coves of various sizes on it. But making one like this with paper flowers and leaves definitely makes for a more colorful and festive look. Thanks for sharing! What a lovely rose tree. Fantastic Blog Hop. New Products to fall in love with and a chance to win them too! Happy New Year and a Big Thank You!! WOW! Your tree is stunningly beautiful! I adore it! Thank you so much for your generosity! Happy 2016!! Your flower tree is fabulous. Thanks for a great giveaway. Thank you for participating in this blog hop and for th fantastic prizes you are offering as a giveaway on your blog. I wish you a very happy and blessed 2016! The tree looks wonderful! I wanted to make some new decoration for Christmas, but didn't get the chance, a Christmas village that I could make with my new Cricut Explore. Well, there's always next year! 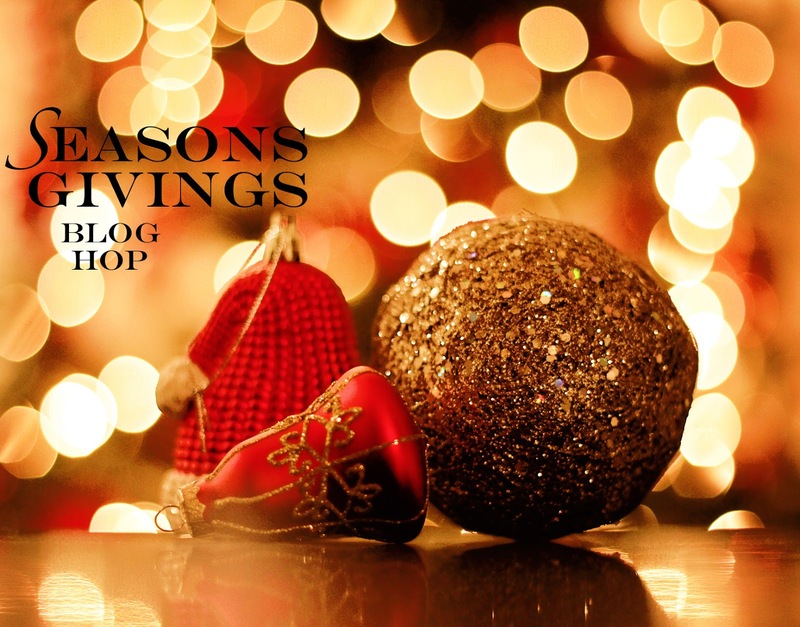 Thank you for sharing and participating in this blog hop and Happy New Year!! WOW!!! Your tree are STUNNING AND GORGEOUS!!! Hi, thank you for the generous prize and giving us time to visit you! Oh I love the flower tree you made! How gorgeous!! Happy New Year!!! Your tree looks fab, Christine! Thank you for participating in this awesome hop! International Ambassadors are blog hopping! Winner - Seasons Givings Blog Hop - Is it you? ?